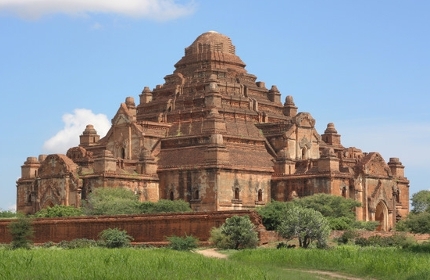 Bagan is a historical city scattered with over 5000 temples and Pagodas covering an area of 40 square kilometers. This fascinating place was called Pagan in the past and it was built between the 11th and 13th centuries. With their own story to tell, Bagan’s Pagodas are at their best during dawn and dusk when the sun comes up or down highlighting the magical beauty of the ruins. The best thing about Bagan's temples is that right after you pay the entrance fee of $20, you are free to roam around for as many days as you want, but remember to take the ticket with you at all times, especially when you check in at a hotel. Take a cab (A/C) - the easiest and the most comfortable way to explore the temples, with an English speaking driver. It will cost you around $50 per day. The fee changes according to the season and the distance. Horse and Cart tour - this is for the romance lovers who love to explore new routes and hidden temples. It won't cost you more than $50 per day. The fee changes according to the route you take and the distance. A favorite among visitors. It shows clear signs of Mon architecture mixed with a bit of North Indian style. 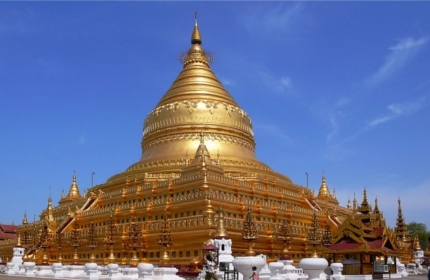 It is also known for Ananda Pagoda Festival happening every year between January and February. Was built by King Narathu. Legend has it that the king threatened to maim the mason who built it, if the king found even a tiny hole between the bricks. We get to see a temple with an immaculate structure today. You get to see one of the four replicas of Buddha's sacred teeth, gilded with gold-leaf and standing out with its large bell like shape. 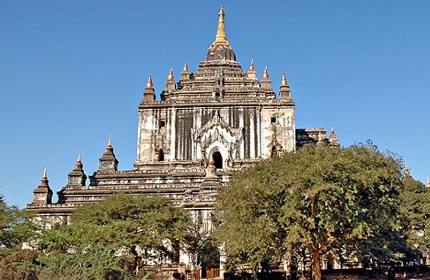 Shwezigon is one of the most fascinating temples and a must see in Bagan. Built by king Alaungsithu as a double story temple. 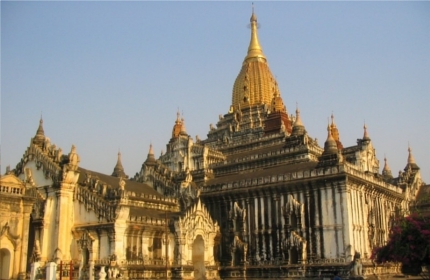 It is the tallest pagoda in Bagan and clearly stands out from the rest because of its unique experimental nature.